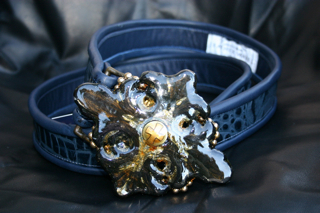 In 2006 Jackie Robbins began making belt buckles from vintage jewelry and found pieces of metal, plastic, wood, and chain and using paint and resin. 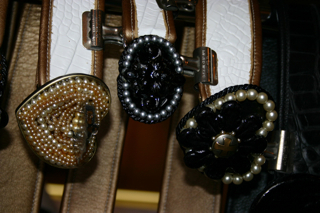 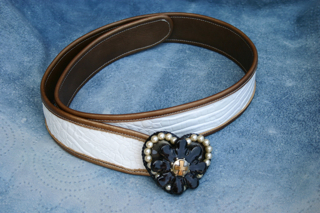 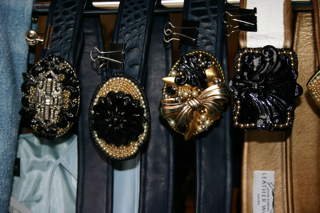 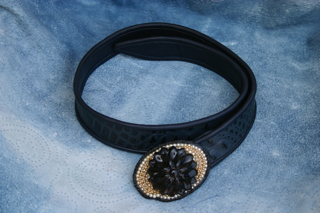 This was the first series (the Relic Belt Buckle series of 2008 was next) in which she created unique individual belt buckles and then paired them with her custom made leather belts. 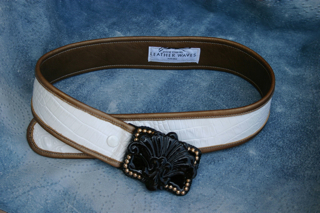 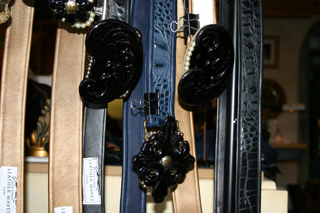 The belts are made with the rolled-edge technique which involves 3 pieces of leather. 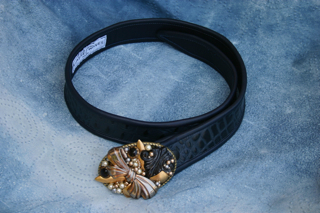 This first series is currently sold out. 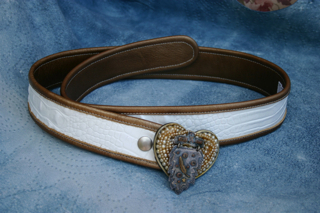 But we continue to make these buckle-belt sets by Custom Order, in fact we can incorporate the clients own jewelry pieces and tiny keepsakes to create a buckle special to you. 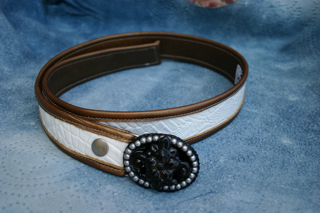 A new series is anticipated soon. 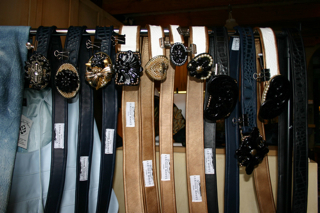 Belts: -- Please Select -- over size 42"